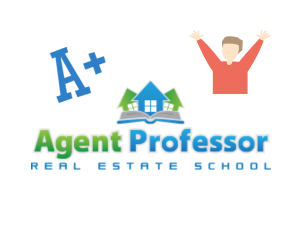 We are happy to announce that Agent Professor has had an above average overall pass rate since becoming a licensed real estate school in Utah! Each month, Pearson Vue, the company that administers the Utah real estate exam, produces a report of the pass rates of the students taking the Utah real estate agent exam. We would like to give a shout out to all of the students that have completed our course and passed the exam. We have had some awesome students and wish them the best of luck in their real estate careers! If you feel like you are ready to begin a real estate career please check out our licensing page to see what it takes to get a Utah Real Estate License. You may also enroll today if you are ready, or contact us with any questions about getting started!